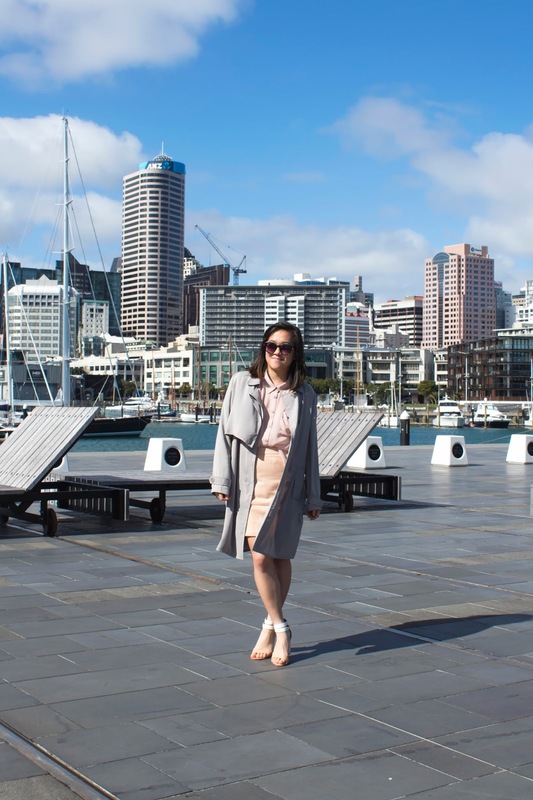 The sun finally came out to play for day two of NZFW, and I think everyone was thankful after the downpour the day before. I seized the opportunity to bare some skin in a peachy suede skirt (thanks again to Flo & Frankie!) that paired all too well with this sheer shirt from COOP. 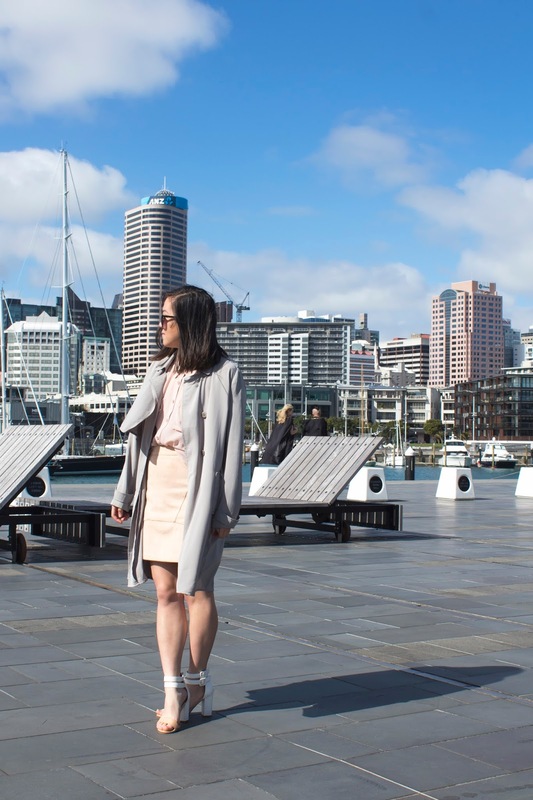 I threw on my trusty Boohoo trench for wind protection, and comfy heels (yes, they do exist) to match the whole look. I'm definitely having a moment with light muted tones and this trench & heels combo; I think it's a sign that spring is on it's way (hoorah). You look fantastic! I absolutely love that jacket.